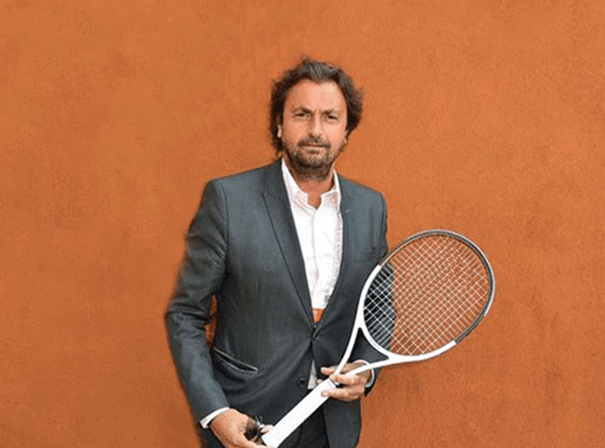 Former French professional tennis player Henri Leconte was a star known for his great flair and natural skill. He was never far from the top ten world rankings and always competed with a professional and dedicated attitude. It was in 1981 that he first shot onto the world scene when winning the junior Roland Garros title in 1981, the same year he then went on to turn pro. The highest ranking he ever reached in his singles career was 5th, and that happened in September 1986, and just two years later in 1998 he competed at Roland Garros in the final, just coming up short to eventual winner Mats Wilander. The left handed Leconte was also a key part of the Davis Cup side in 1991 and helped France win that year’s tournament for the first time in an amazing 49 years. In doing so he beat world number one Pete Sampras and said it was the best game he ever played in his life. In the same year, Henri also helped France win the ATP World Team Championship in Dusseldorf. A real crowd pleaser and top entertainer on the court, Leconte won the 1984 doubles title at Roland Garros and came second with playing partner Yannick Noah in the 1985 US Open, also in the doubles. In all, Leconte qualified three times for the Masters in 1985, 86 and 1988. Sadly it was injury that forced him to retire in 1989 after winning nine singles and 10 doubles titles.